Vancouver, B.C. 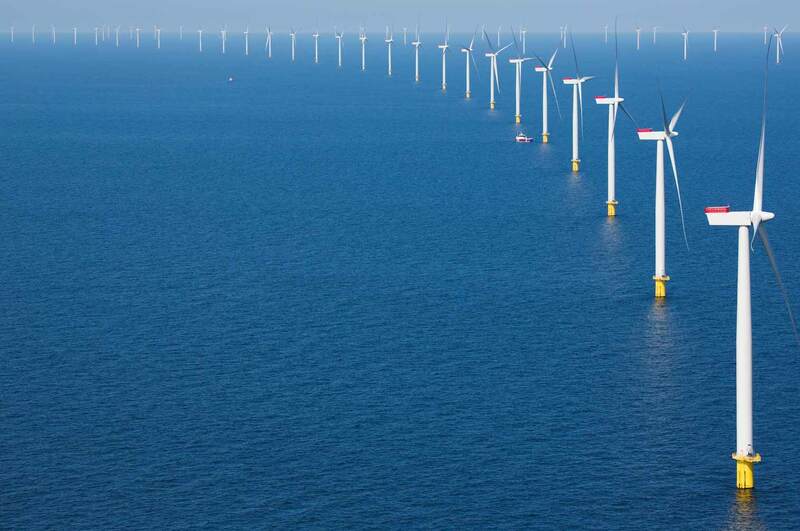 – February 25, 2019 – NaiKun Wind Energy Group Inc. (NaiKun) engages the services of PricewaterhouseCoopers (PwC) to assist with the search and selection of a senior partner to develop its offshore wind project. Naikun is searching for an exclusive partner to jointly develop the Haida Energy Field Offshore Wind Project in British Columbia and explore the potential for establishing a long-term partnership with NaiKun. Located in Hecate Strait, between Haida Gwaii and Prince Rupert on the British Columbia mainland, the Haida Energy Field has some of the strongest, most-consistent winds in the world. The project would feature bottom-fixed structures due to the shallow water at the project location. With the remarkable improvements in turbine technology the first phase will now be 30 to 40 turbines in a smaller area. The original concept involved 110 turbines over a larger area. PricewaterhouseCoopers has been involved in assisting clients in Canada for 138 years. As part of a global network of over 236,000 people in 158 countries, they help organizations and individuals create the impact they’re looking for, by delivering the best of their collective thinking, experience, and solutions to build public trust and enhance value for their people, clients. and communities. The world class offshore wind project could support British Columbia’s commitment to develop clean, renewable energy and help meet the government’s CleanBC Policy objectives. The Haida Energy Field would significantly contribute to meeting British Columbia’s future energy needs. Offshore wind is a key part of the global shift to increase the use of renewable energy and this project could help to propel British Columbia and Canada into the new renewable energy economy and assist in meeting both the Province’s and Canada’s strong climate change initiatives. project that offers one of the strongest, most-consistent wind resources in the world,” said Michael O’Connor, President and CEO of Naikun. A component of the consultant fees to be paid to PwC under this agreement are 1,000,000 stock options. The options are exercisable at a price of $0.10 per share, will expire on February 25, 2021, and will vest 40% at issue and 10% per month thereafter. NaiKun remains optimistic that the significant energy forecasts for the North Coast of B.C. will benefit NaiKun. The NaiKun project is the only project of significant scale in the region that is permitted and essentially “shovel-ready”. With the remarkable advances in offshore wind development, the NaiKun project is both affordable and competitive to meet the long-term electricity needs of British Columbia. NaiKun is a British Columbia-based renewable energy company. Located on B.C.’s northwest coast, where the wind resource is one of the strongest and most consistent in the world, NaiKun’s 400MW offshore wind project would generate enough energy to provide electricity to 200,000 B.C. homes. If the project does proceed it is expected to result in an estimated 500 jobs during construction, 50 permanent jobs for maintenance and operations and more that $400 million in direct expenditures in the province during construction, of which $250 million will benefit North Coast communities. Caution Regarding Forward-Looking Statements – This news release contains certain forward-looking statements, including statements regarding the business and anticipated financial performance of the Company. These statements are subject to a number of risks and uncertainties. Actual results may differ materially from results contemplated by the forward-looking statements. When relying on forward-looking statements to make decisions, investors and others should carefully consider the foregoing factors and other uncertainties and should not place undue reliance on such forward-looking statements. The Company does not undertake to update any forward-looking statements, oral or written, made by itself or on its behalf. Neither TSX Venture Exchange nor its Regulation Services Provider (as that term is defined in policies of the TSX Venture Exchange) accepts responsibility for the adequacy or accuracy of this release.